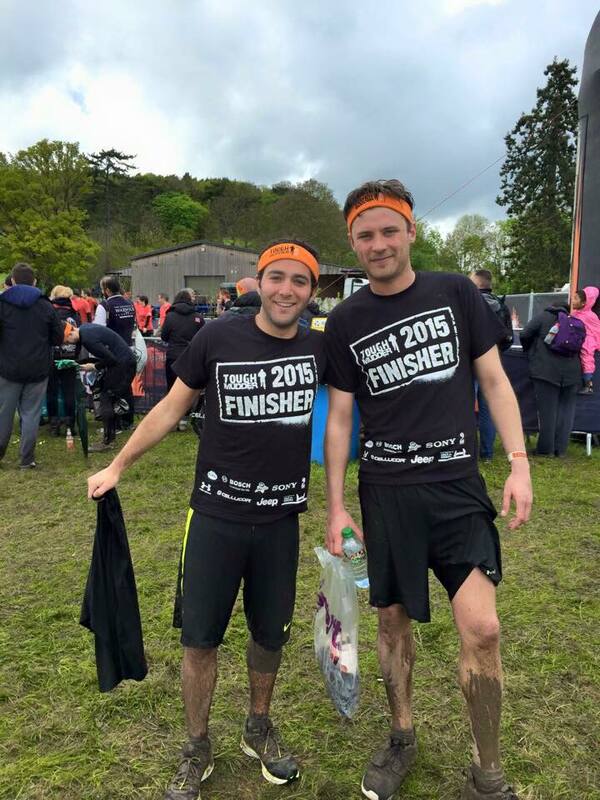 Louis and Ben endure Tough Mudder! In May 2015 Louis Green and Ben Weisfeld raised over £2000 for Aims2Cure. They undertook the gruelling Tough Mudder Challenge fearlessly attacking the 20 km mud course which tests physical strength and mental grit. The course is a team challenge allowing participants to experience exciting and thrilling obstacles in a safe and controlled environment and is extremely tough. We applaud the boys for their determination and appreciate that the fruit of their efforts have been donated to Aims2Cure.